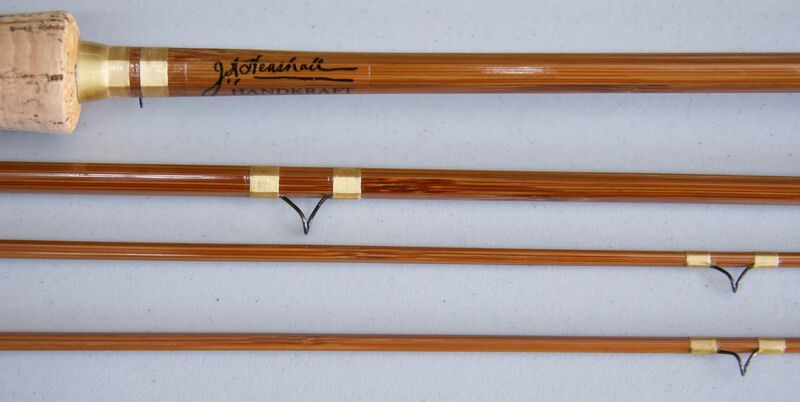 8'6", 3/2 This rod was crafted by Heddon for Weber. 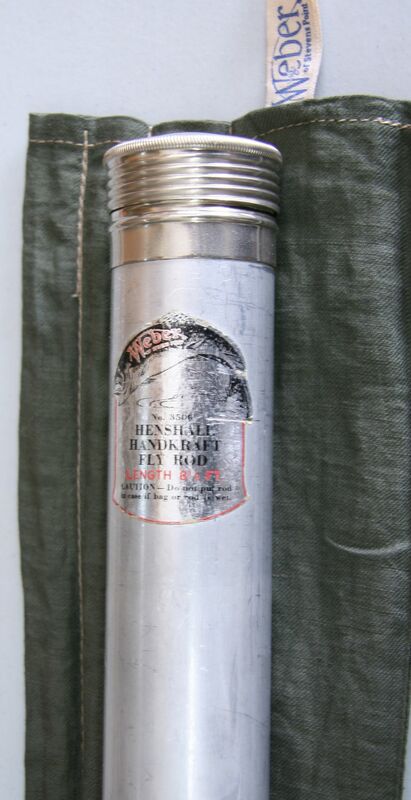 This high grade, "Henshall HandKraft" model is equivalent to a Heddon #35. Model 3500. Line weight 5/6. Blued nickel silver #2 ferrule. Half wells cork grip. Up-locking blued nickel silver hardware over black insert reel seat. Thread wraps are pongee pale tan color silk thread. Includes original labeled bag and labeled aluminum tube. Excellent condition.